Sympathetic ophthalmia in fellow eye after vitrectomy for massive subretinal hemorrhage secondary to polypoidal choroidal vasculopathy. Evaluation of peripheral fundus autofluorescence in eyes with wet age-related macular degeneration. Suetsugu T, Kato A, Yoshida M, Yasukawa T, Nishiwaki A, Hasegawa N, Usui H, Ogura Y. Clin Ophthalmol. 2016 Dec 14;10:2497-2503. doi: 10.2147/OPTH.S120402. eCollection 2016. Effect of vitreomacular adhesion and vitreous gel on age-related reduction of macular thickness: a retrospective observational study. Kumagai K, Hangai M, Furukawa M, Suetsugu T, Ogino N. BMJ Open. 2016 Sep 30;6(9):e012972. doi: 10.1136/bmjopen-2016-012972. CENTRIPETAL MOVEMENT OF THE CAPILLARIES IN THE CENTRAL MACULAR REGION AFTER INTERNAL LIMITING MEMBRANE PEELING. Effect of vitreomacular separation on macular thickness determined by spectral-domain optical coherence tomography. Kumagai K, Uemura A, Hangai M, Suetsugu T, Ogino N. Jpn J Ophthalmol. 2017 Jan;61(1):84-91. doi: 10.1007/s10384-016-0486-5. Epub 2016 Oct 7. Decrease of the foveal avascular zone area after internal limiting membrane peeling: single case study. Kumagai K, Uemura A, Furukawa M, Suetsugu T, Ogino N. Int Med Case Rep J. 2017 Mar 8;10:81-85. doi: 10.2147/IMCRJ.S129174. eCollection 2017. Increase in average foveal thickness after internal limiting membrane peeling. 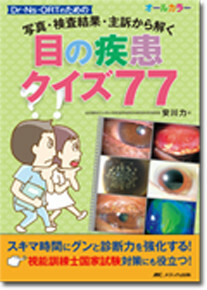 Kumagai K, Furukawa M, Suetsugu T, Ogino N.　Clin Ophthalmol. 2017 Apr 4;11:605-611. doi: 10.2147/OPTH.S134909. eCollection 2017. FOVEAL AVASCULAR ZONE AREA AFTER INTERNAL LIMITING MEMBRANE PEELING FOR EPIRETINAL MEMBRANE AND MACULAR HOLE COMPARED WITH THAT OF FELLOW EYES AND HEALTHY CONTROLS. Kumagai K, Furukawa M, Suetsugu T, Ogino N. Retina. 2018 Sep;38(9):1786-1794. doi: 10.1097/IAE.0000000000001778.